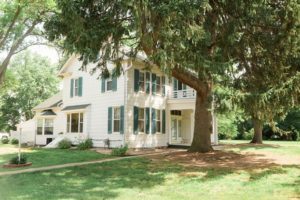 In the heart of German-settled Illinois, Prairie Du Rocher, Illinois bed and breakfasts invite you to enjoy a bit of French heritage! Other Prairie Du Rocher, IL lodging options cannot offer the ambiance and friendliness of our area inns. Come stay at a local B&B, and experience the real atmosphere of our town! Prairie Du Rocher still has several historic homes, including the one-room Creole House, which can be seen throughout the town. The Creole House is open for visits for a nominal fee. Just west of Prairie Du Rocher is historic Fort de Chartres: a French military fortification active during the early to mid 1700s. While the original fort was largely ruined by Mississippi River flooding, extensive restoration has occurred, bringing the Fort back to its historical look and is now a museum at the Fort Chartres State Park. The Fort hosts numerous events during the year from Faires to historical shoots and recreations of notable historic events. If you happen to visit Prairie Du Rocher on New Year’s Eve, you will get the rare chance to witness La Guiannée, a custom of caroling on New Year’s Eve dating back to medieval times in France. La Guiannée is celebrated in Prairie Du Rocher today. There is so much more to discover about our town! 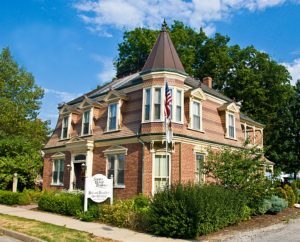 Prairie Du Rocher member inns of the Illinois Bed and Breakfast Association would love to host your visit to our historic town.